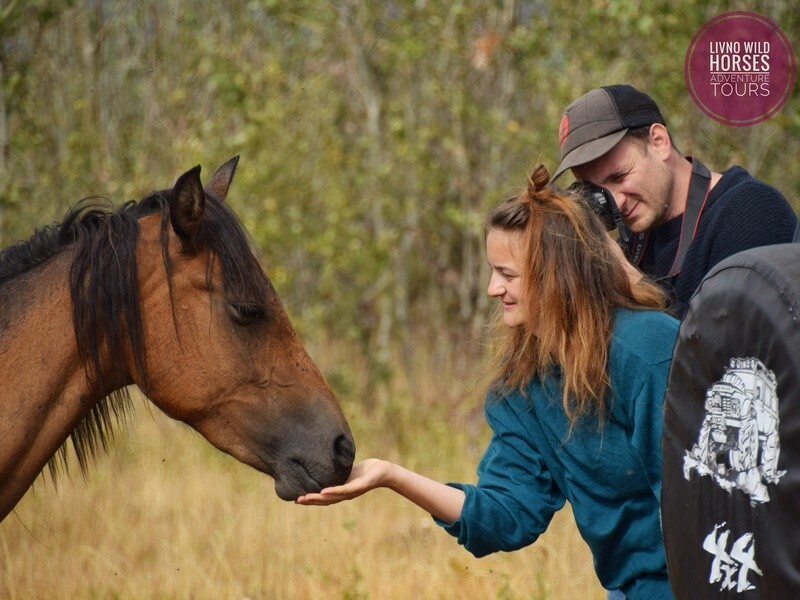 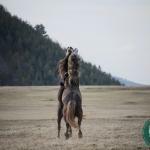 hanging out with 500 wild horses: photographing, feeding horses & etc. 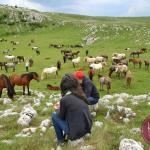 picnic (breakfast) on the mountain with homemade food and drinks: famous Livno’s cheese, sausages, seasonal salad, sweet rolls, and salted buns, fruit salad, gastro surprise, homemade juice, also a vegetarian menu at the prior agreement. 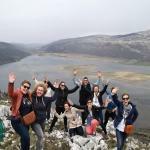 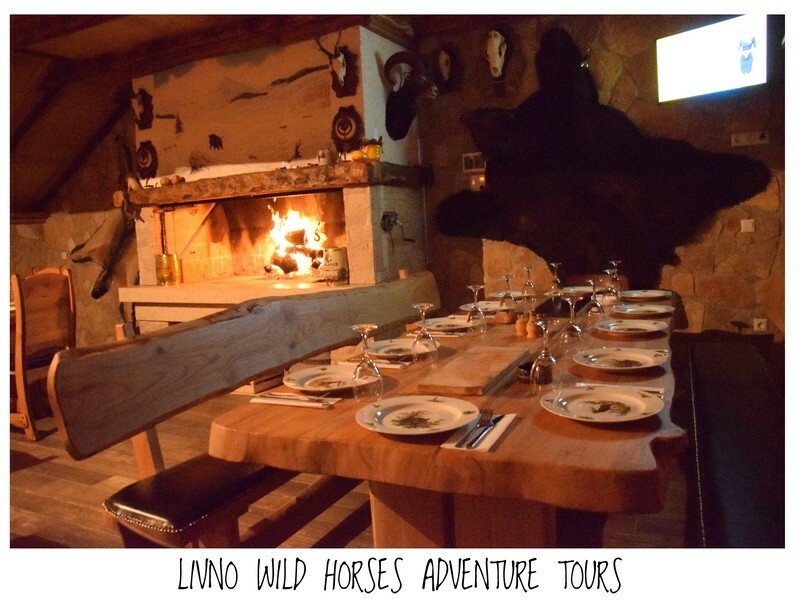 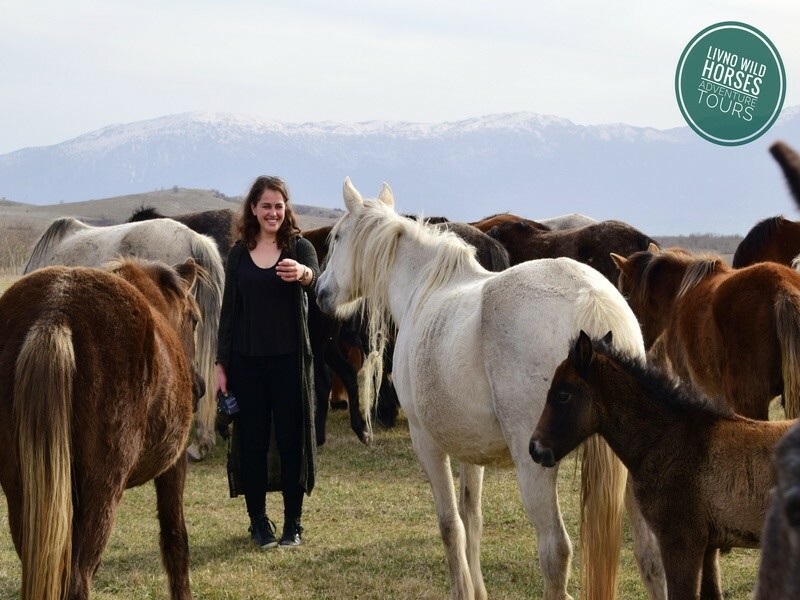 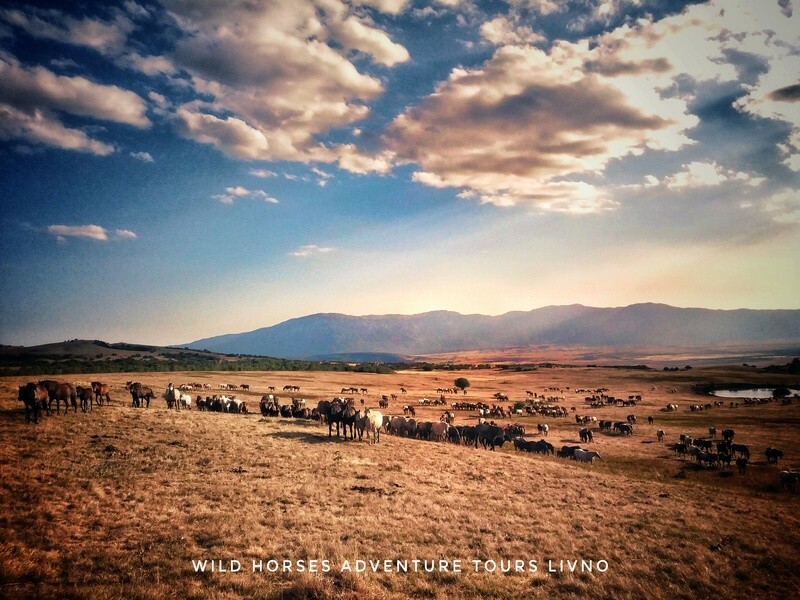 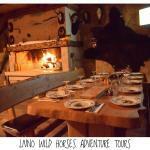 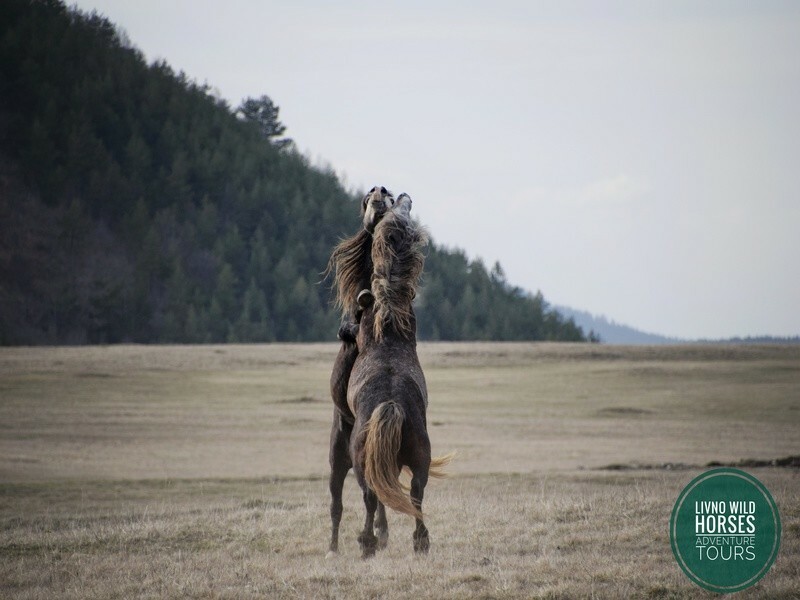 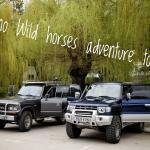 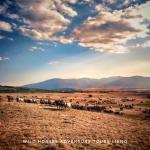 Experience a wonderful adventure with a herd of wild horses in Livno. 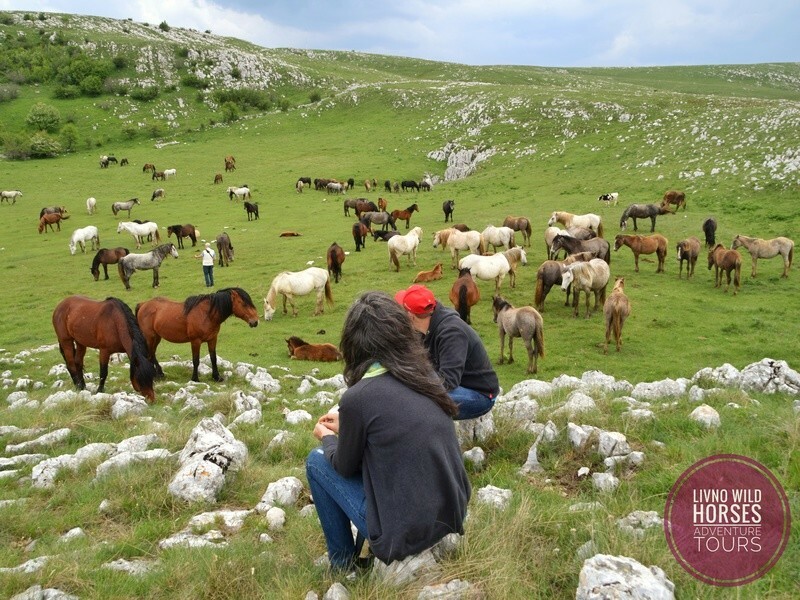 The southern parts of the mountain “Cincar”, plateau “Kruzi” have been the home for a herd of about 500 wild horses for more than half century. 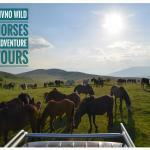 Additionally, life under the open sky, endless pastures and untouched nature around them add to the experience. 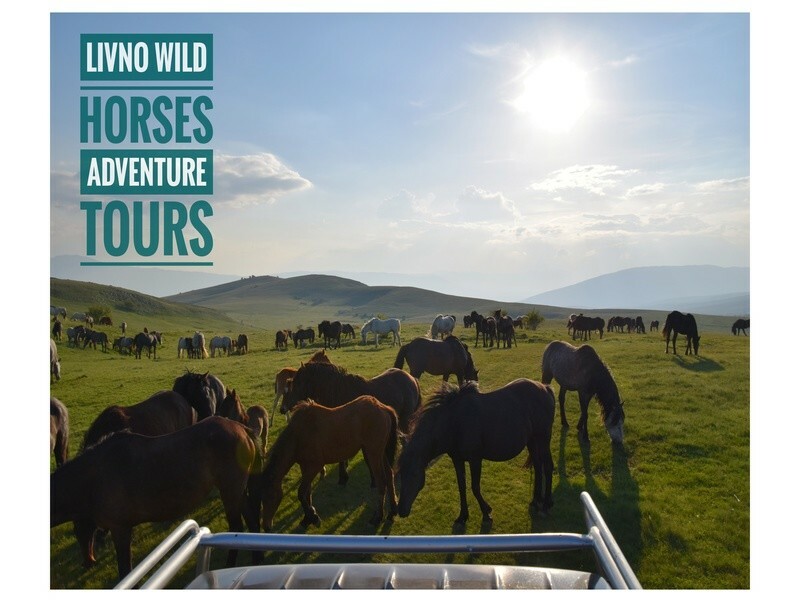 Therefore, you can spend precious moments of your free time in the vicinity of these wild horses. 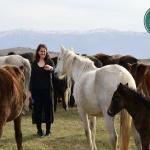 Furthermore, you can closely enjoy their beauty and while admiring the pure nature around them. 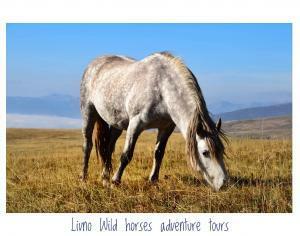 Likewise, wild horses galloping are an experience that you will remember all your life. 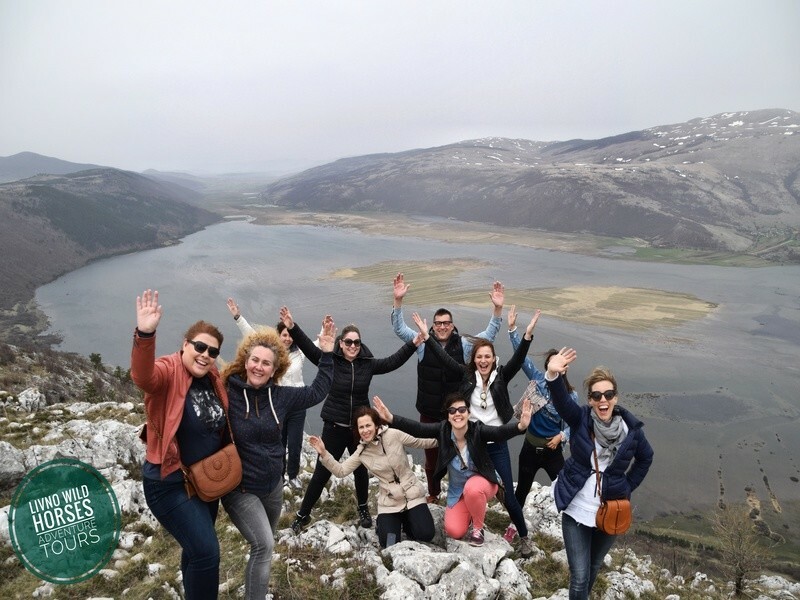 Moreover, the excursions are individual and completely dependent on guests, with no crowds, suitable for all ages, adults and the elderly. 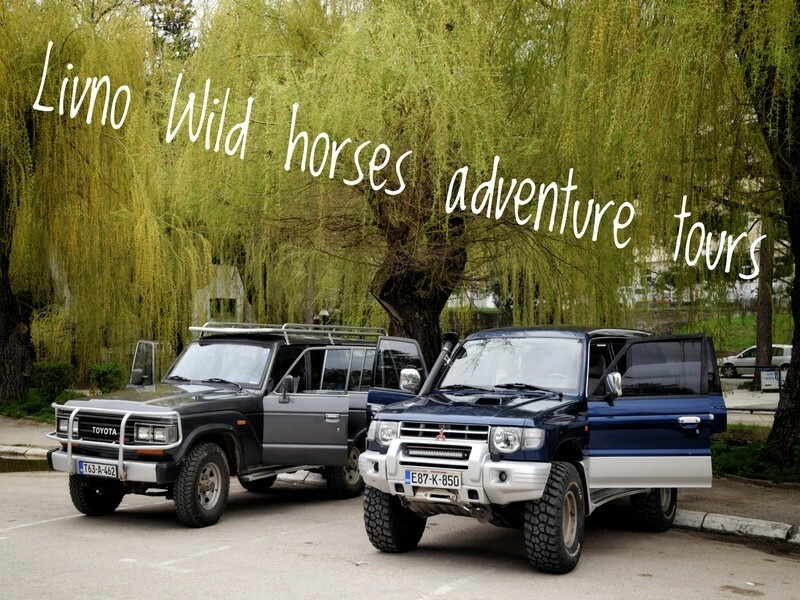 Therefore, we can plan around your needs.